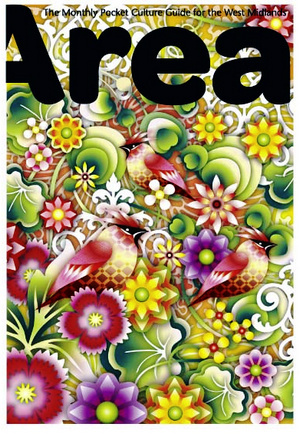 More Canals than Venice has details about where you can pick up a paper copy. 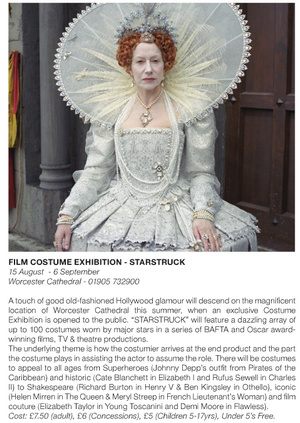 Most interesting event (to me) that I didn’t know about already… 100 film costumes on show at Worcester Cathedral until 6th Sept 09. Fitting in nicely with the “Dress and Drawing” show at Birmingham Museum and Art Gallery (also ends 6th Sept 09). I wonder if the Cathedral is allowing photography? Update: no photography of the costumes is allowed, it seems. ← West Midlands: Fit for the Future?